In many homes, breakfast is the most challenging meal of the day – for Moms and kids! Moms need to get things ready on time and deal with all the fussiness and picky eating. Kids have to gobble down whatever is in front of them whether they’re in the mood for it or not. If this sounds like the situation in your home, sounds like your family is in dire need of some variety! 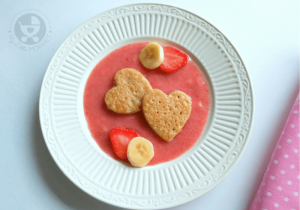 We’re strong believers on starting the day on a healthy and tasty note, and we have lots of healthy breakfast recipes for kids of all ages. Today, we add something new to this list, with a recipe that’s super easy to make, can be customized in endless ways and is extremely nutritious to boot. Intrigued? 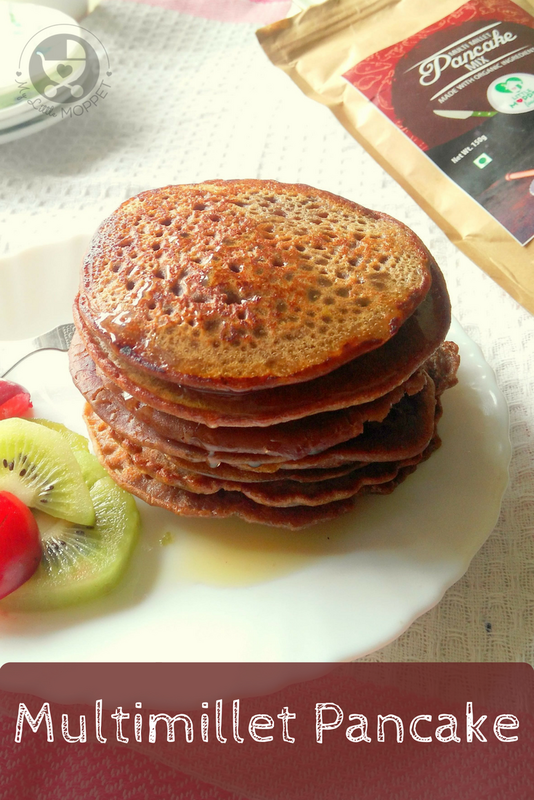 Presenting the brand new healthy and whole grain multi millet pancakes!! 1. Add 1/4 cup of the pancake mix and 1/4 cup milk in a bowl. Whisk well. Add more milk if you feel the batter is lumpy, but don’t add too much or you won’t get fluffy pancakes. 1. Add 1/4 cup of the pancake mix with 1 whole egg in a bowl. Beat well. Add a little milk if you feel the batter is lumpy. 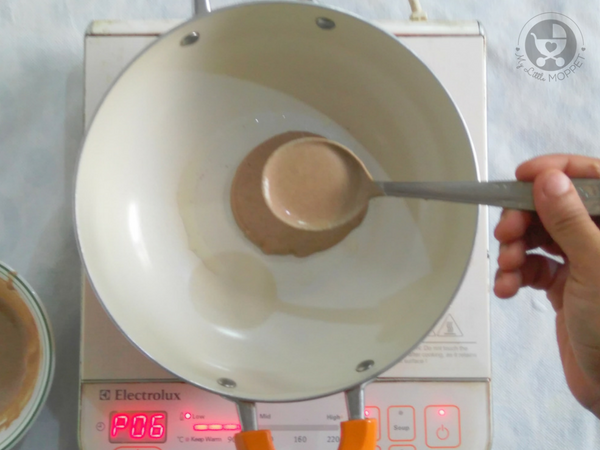 The batter should not be too thin or thick. I needed just 1 tablespoon of milk and 1 whole egg to get the right consistency. 5. 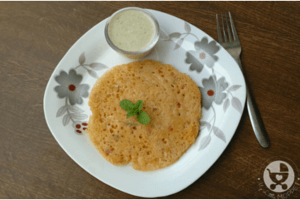 Add jaggery powder to the pancake batter and blend well. 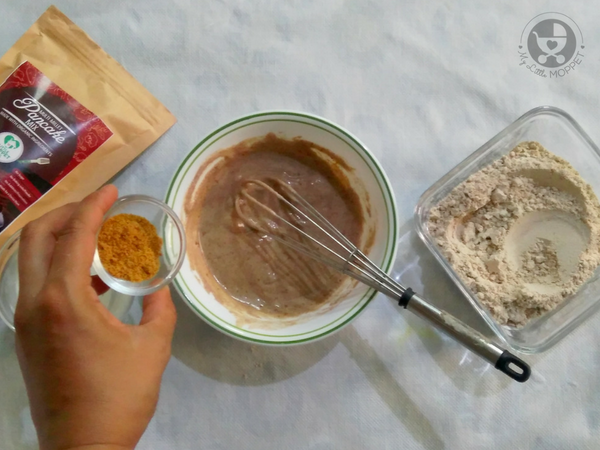 You can also skip this step, or use dry dates powder or coconut sugar instead. 6. Heat a greased pan and add a ladle full of batter in the center of the pan. Do not spread it. 7. 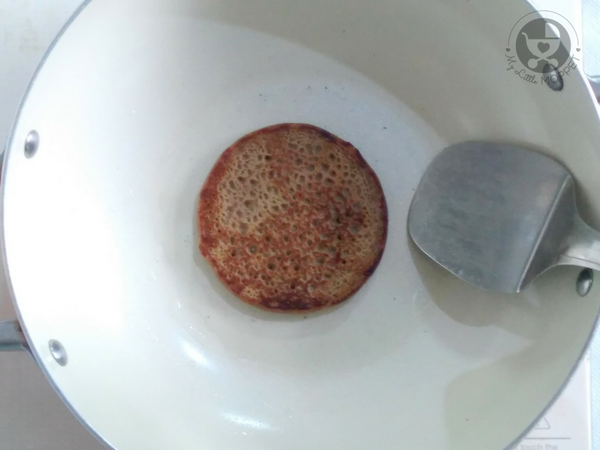 Drizzle ghee and cover the pancake. Cook on low to medium flame from one side. Flip it and cook on the other side as well. 8. Prepare all the pancakes in a similar manner. 9. 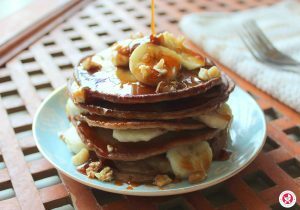 Drizzle the pancakes with some honey or homemade dates syrup and serve with fresh fruits or berries. 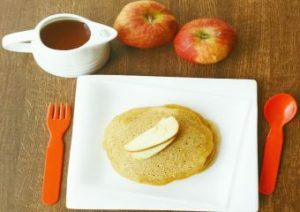 There are countless ways you can make pancakes, but you know what’s special about these multi millet pancakes, right? They’re organic and kid-friendly, being free from baking powder, baking soda, sugar and preservatives. 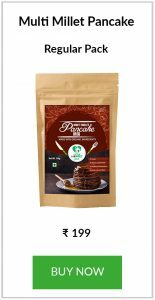 What’s more, there is no trace of refined flour; the mix is made of whole grains like Foxtail millet, Finger millet, Sorghum and wheat. 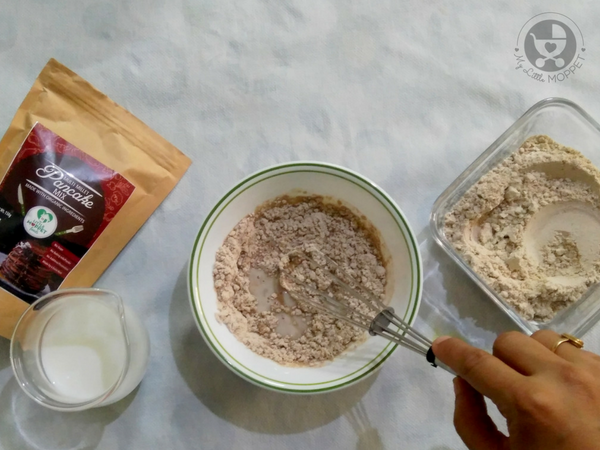 All you need is a couple of ingredients to make a quick, nutritious and super yummy meal to kick start your day! 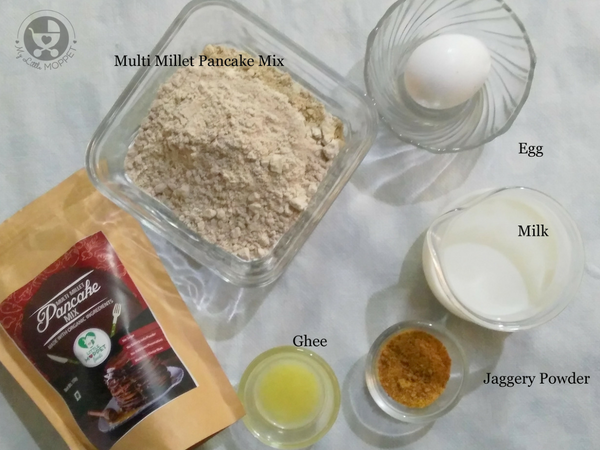 Wondering how to get this Multi Millet Pancake Mix? Don’t worry, we’ll send it to you! 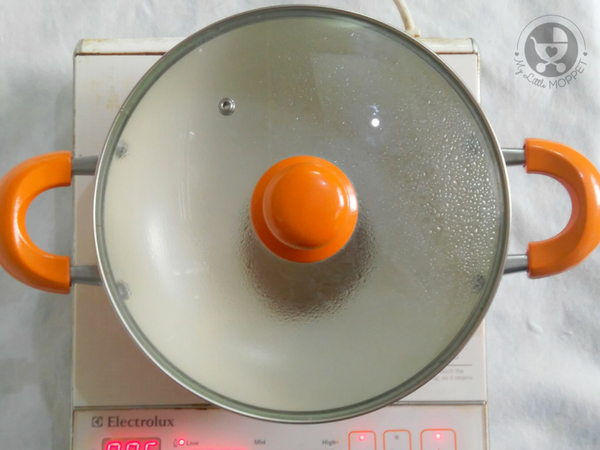 We prepare it fresh as soon as you place your order and deliver it straight to your doorstep. Check out the instant pancake mix which is organic, kids friendly and very filling breakfast recipe. 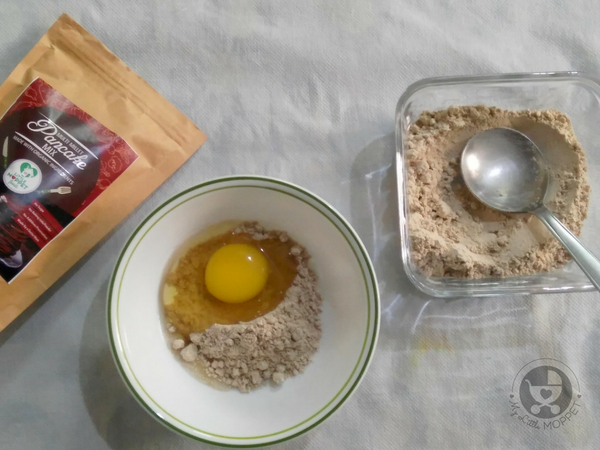 Add ¼ cup of the pancake mix with 1 whole egg in a bowl. Beat well. Add little milk if you feel the batter is lumpy. The batter should not be very thin or thick. I added just 1 tablespoon of milk and 1 whole egg to the pancake mix to get the right consistency. Heat a greased pan and add a ladleful of batter in the centre of the pan. Do not spread it. Drizzle ghee and cover cook the pancake on low to medium flame from one side. Flip it and cook on the other side as well. 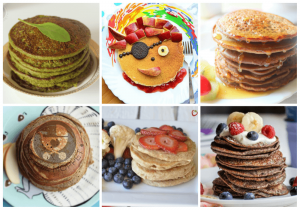 Prepare all the pancakes in a similar manner. 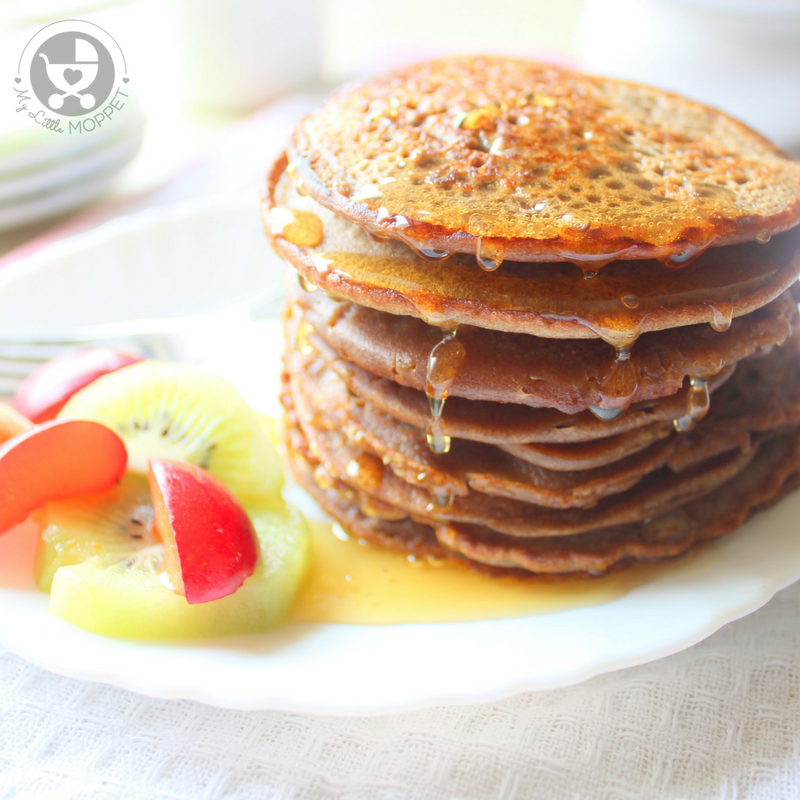 Drizzle the pancakes with some honey or dates syrup and serve with fresh fruits or berries. Can I add formula milk instead of normal milk? Formula milk is not supposed to be cooked dear, you can skip milk and add egg if you wish to.